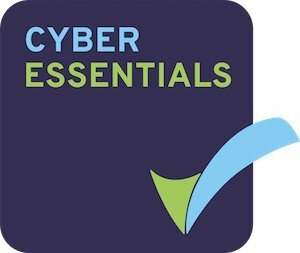 We’re very pleased to announce that we have recently been certified under the Cyber Essentials scheme. Cyber Essentials is a government-backed scheme aimed at helping businesses guard against the most common cyber threats, and demonstrate their commitment to cyber security. It covers areas including securing internet connections, devices and software; controlling access to data and services; protecting against viruses and malware; and keeping devices and software up to date. Originally launched in 2012, Cyber Essentials aims to give businesses simple, hands-on advice they can use to tighten up their information security. While frameworks such as ‘10 Steps to Cyber Security’ and ISO27000 offer a range of ingredients – in the form of various security controls – they don’t tell businesses how to mix them together. Cyber Essentials suggests a common recipe that all businesses can use to begin protecting themselves online, based on the most common types of cyber attack. Cyber Essentials is particularly useful for small and medium-sized enterprises (SMEs) who have competing priorities for resources, guiding them towards simple steps they can take to make a tangible difference to their cyber security, as well as minimising the impact when incidents do occur. Over 9000 certificates have been issued since the scheme began. They are all listed in an online database (see our listing). Cyber Essentials certification provides our clients and partners with the reassurance that we’re doing everything we can to secure our IT against cyber attack, and that we have a clear picture of our level of cyber security. Some government contracts require suppliers to hold the Cyber Essentials certification. If you have any questions about Cyber Essentials, or the work we do under the scheme, please get in touch.